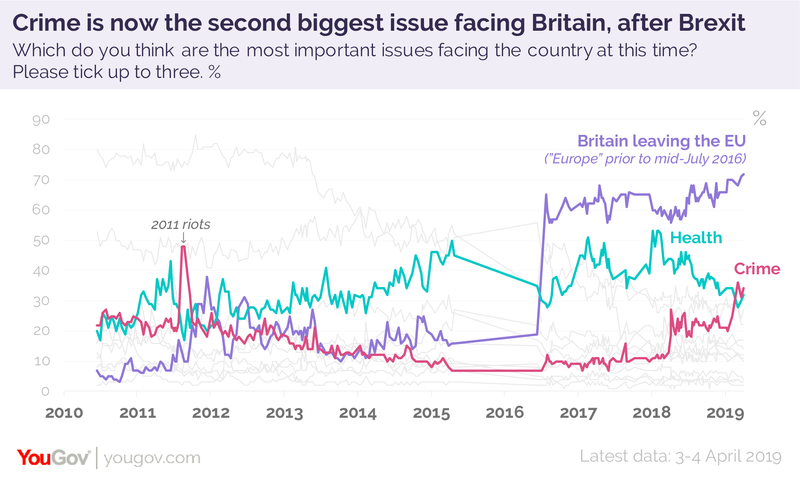 YouGov’s latest tracker data reveals that concern about crime has jumped to its highest level in years, and is now seen as the second biggest issue after Brexit. The proportion of Britons citing crime as one of the three most important issues facing the country jumped over the course of February, from 25% on 3-4 February to 36% on 6-7 March. This put it fully eight points clear of health, which has been consistently been the second biggest issue since 2017. Our latest poll puts crime on 34% and health on 32%, meaning they are effectively tied. 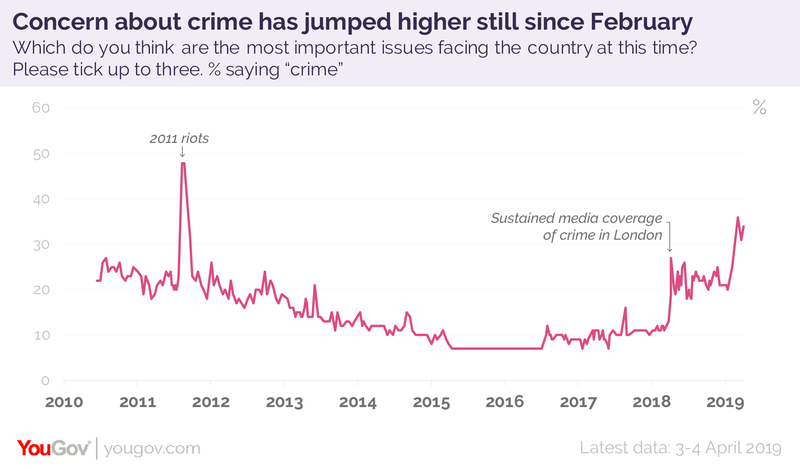 YouGov observed previously in April last year, and then again in October, that concern about crime had dramatically increased, being at its highest levels since the London riots. The initial spike followed sustained media coverage of crime in London. The number of Britons naming crime a top three issue doubled from 13% to 27% over two weeks in late March/early April of that year. Since that point this figure has consistently remained in the twenties, until jumping in our most recent polls.